In the dark depths of Malabal Tor, lies an old Ayleid ruin called the Abamath Ruins which under the sinister control of the dreaded Worm Cult. Inside, I discovered an intriguing chest that was warded by power magic. Boxes that are warded by powerful runes are so for a reason. To gain entry, you require to be on the quest called Arithiel who is rescued from one of the nearby camps. She will require 4 Welkynd Stone: 2 to open the ruins and 2 the sanctum inside. 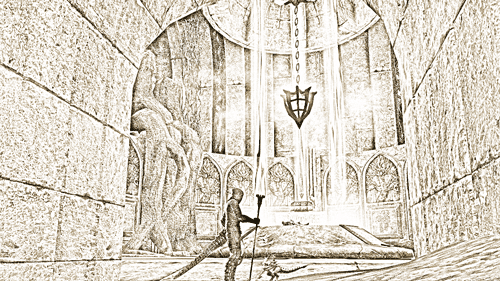 In the east side of the ruins, there is a chest warded with ancient Ayleid magic.